UNIQUE RETREAT Charming not so big house crafted with green building principles in gorgeous Pack Creek. This home offers a serene and inviting atmosphere, featuring ecological building materials and a comfortable feel throughout. There are wonderful flex spaces on both levels, stacked into the mountain's slope; each functions well as a bedroom, office/den, guest suite, or family room. 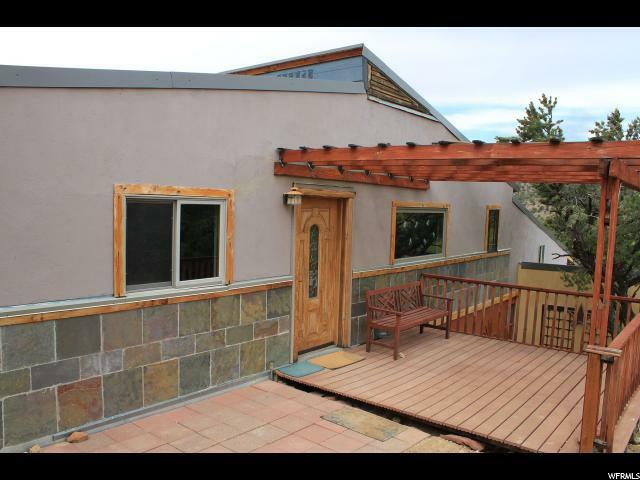 Beautiful slate tile, finished concrete, and hardwood floors throughout the home. The bonus workshop on the lower level features direct access from the home, as well as an external door. 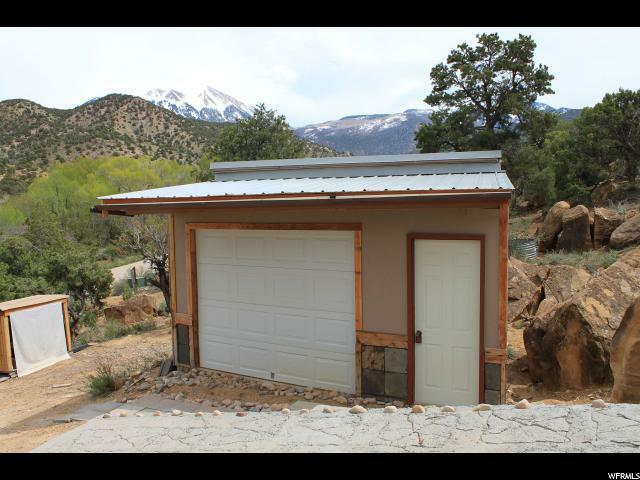 There is a storage shed, and the views from the deck are simply extraordinary! 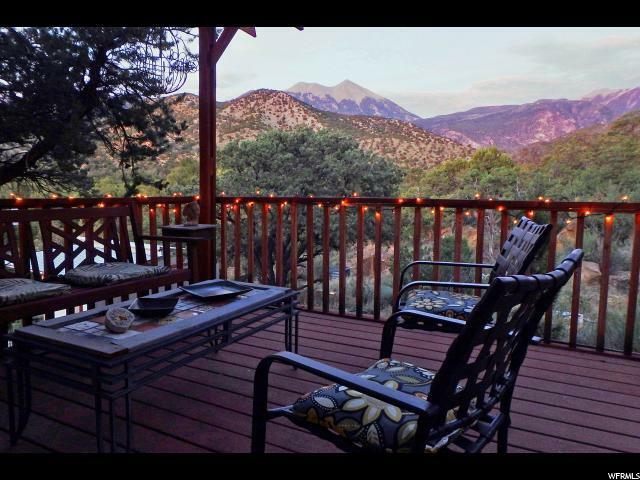 Situated on one full acre, built in harmony with the landscape, the property also includes 1/8 interest in 23.09 acres of deeded open space. 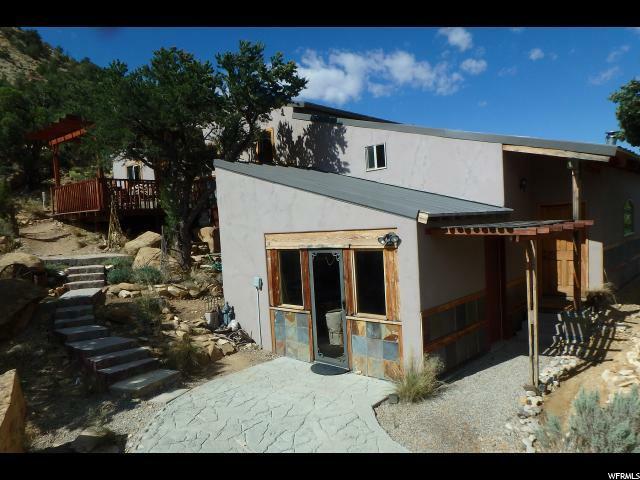 A perfect mountain getaway or wonderful full time residence, this home captures the very best of desert living in the foothills of the mountains.